Are You Unhappy With Your Job and Want a Change of Direction? 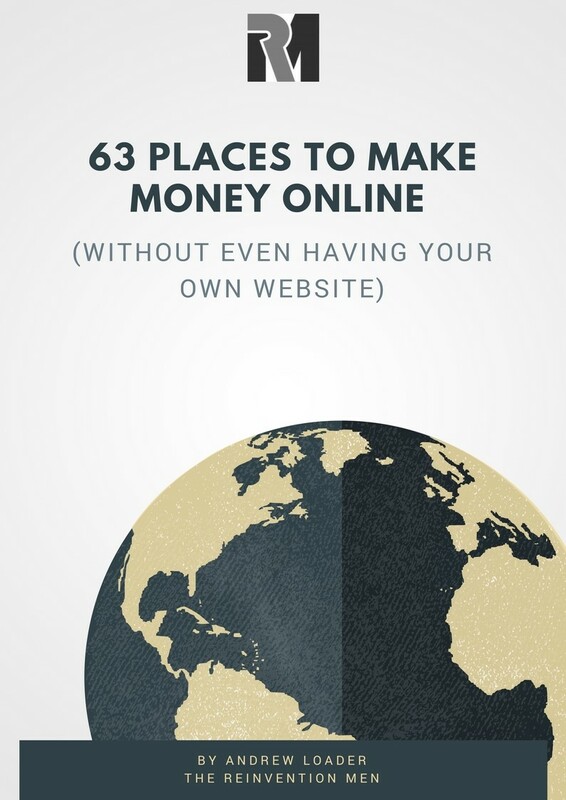 Whether you are looking for a new career, wanting the freedom of freelancing, or looking for temporary work while you reinvent yourself, you will find thousands of jobs in our 63 Places to Make Money Online. The Reinvention Men will never share your information. Unsubscribe from our newsletter anytime. Do you feel your life has stalled and you feel aimless? Do you wish that you could change your life to give you happiness and success? Do you wish you could reinvent yourself to be who you always wanted to be? The Reinvention Men, Larry and Andrew, can help you to find your passion. You CAN rebuild your life to match your dreams. Are you facing a midlife crisis? Perhaps you have made some bad decisions along the way. Or maybe you have simply found yourself on the wrong side of luck. Whatever your situation, we can help you help yourself. No matter what your past is, we can help you to rebuild your life into one of value and worth. It does not matter where you live. Larry hails from England. Andrew’s a Kiwi from New Zealand. Thanks to the worldwide communication of the Internet we are only a Skype call away from anybody who can speak English. You really can achieve all of your life goals and dreams, whether they be financial success, career stardom, weight loss, physical fitness, spiritual uplift, or simply the need to have a purpose. You can truly transform your life and reinvent yourself … all with the advice, knowledge and assistance of two Reinvention Men. What have the Reinvention Men been talking about lately? Larry and Andrew love to share their knowledge and ideas for reinvention with the world. What Employability Skills Are Essential to Your Success?